When it comes to beauty many women end up feeling bad about themselves when they see images of models and celebrities looking perfect. Often times forgetting that they are people just like you. Just because someone is in magazines and on television looking flawless that doesn’t mean they didn’t wake up looking much like you and I do every morning. That’s why I’ve never been a fan of the concept “I woke up like this…flawless” taken from Beyoncé’s hit song, ‘Flawless’ I can’t count how many times I’ve seen Instagram posts with women in full face makeup and tagging it #IwokeUpLikeThis. We all know you didn’t wake up in full makeup. That takes time. 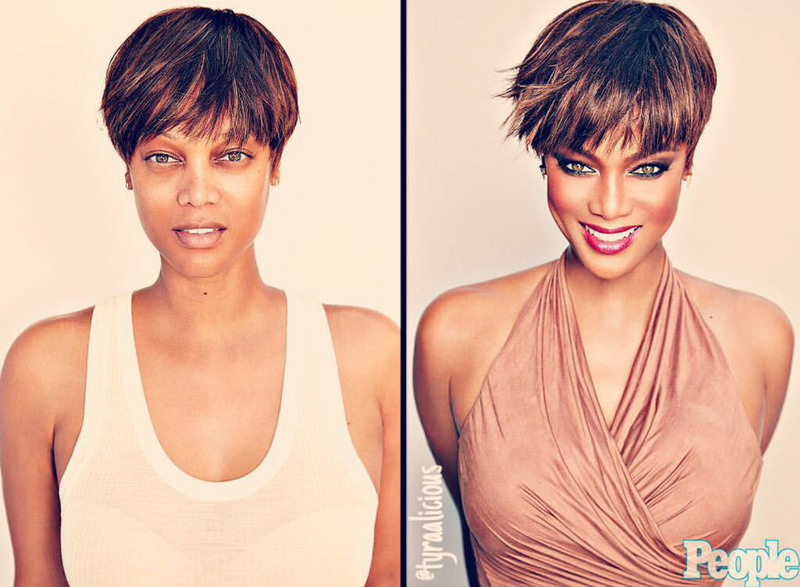 I love the realness of Tyra Banks. She always shares images of herself without makeup. It’s a great way of connecting not only with her audience, but also with women in general. We have to learn to strip down to our bare selves in order to begin seeing our own beauty. Don’t get me wrong, I also love getting done up with makeup and seeing the transformation cosmetics can have. However I also have the understanding that the beauty within is what truly shines. I believe this for everyone. The next time you wake up and see yourself in the mirror without any makeup on, smile and look into your eyes and say “I’m beautiful.” You must believe it before anyone else sees it. After all you are the most important person in your life. That is such a perfect quote. True. We are all beautiful. Convince yourself that you are, and someone else will see you in that light. Strongly agree! Don’t forget the real you is as beautiful and lovable as anyone else. Believe in yourself, first. Loved reading this. Thank you.